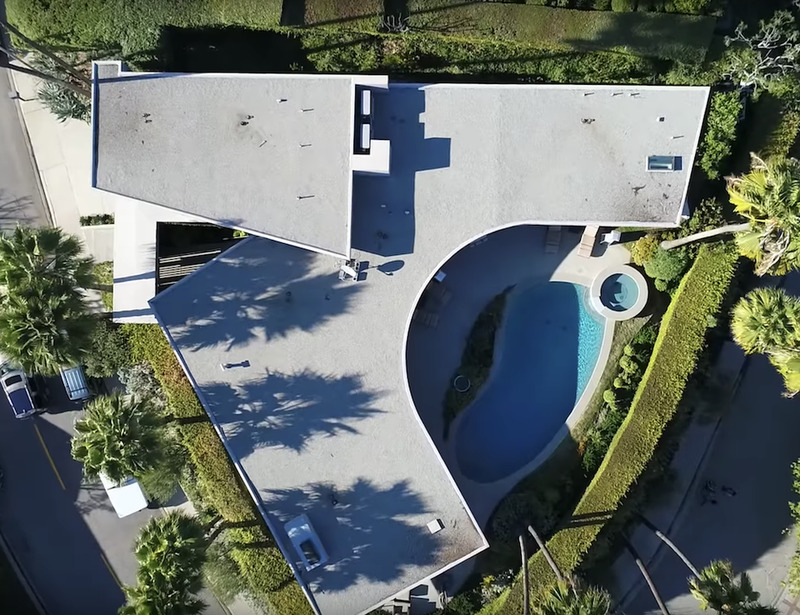 Elon Musk, the founder of SpaceX and Tesla is selling his luxury home in Los Angeles for R60 million. 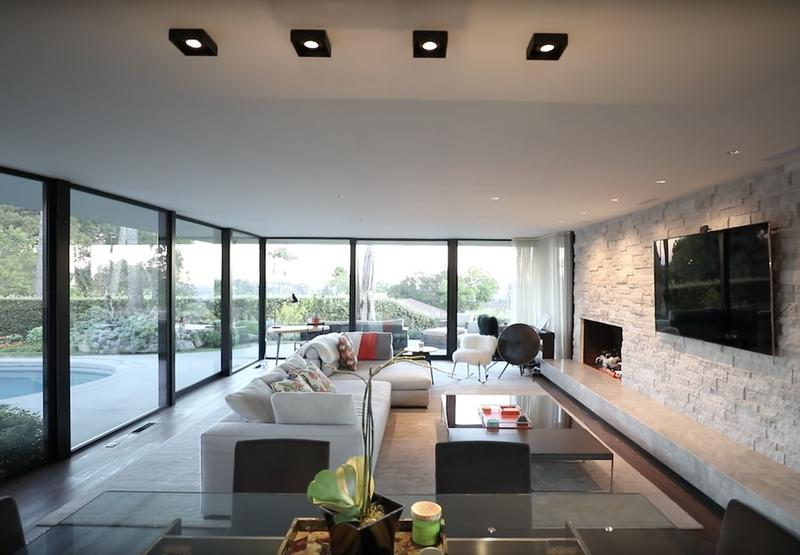 The house situated in Brentwood, California was recently listed on luxury brokerage site Hilton and Hyland for $4,499,000 and thanks to them, we get to peek inside. “This sleek, stylish and updated four bed, four bath mid-century boasting stunning ocean, city and canyon views is a Brentwood gem that is not to be missed,” it states on the website. The house boasts floor-to-ceiling windows and sliders frame the private rear yard which is ideal for relaxing and entertaining with ample patio areas and large saltwater pool and spa. Additional features include state-of-the-art cook’s kitchen with Wolf and Sub-Zero appliances, integrated security and audio system, automated shades, top-end materials and finishes, and ample closet space including large walk-ins. Forbes reports that the 3,000-square-foot house makes use of spacious open-plan rooms, such as this living room off of the kitchen. Going Green: The home is built with a few earth-friendly features including dual tankless hot water system, dual-zone climate control and irrigated drought-tolerant landscaping. 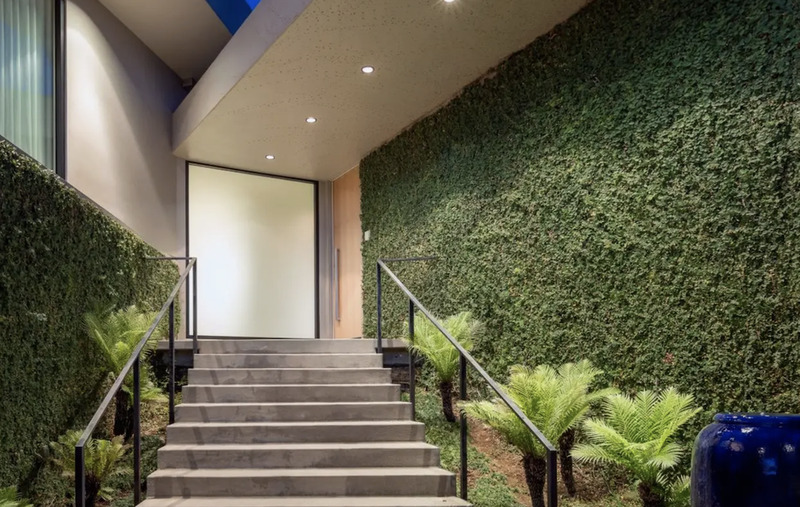 The ivy-clad walls that lead to the front door also add some green to the house. According to Market Watch, the house is just one of several houses Musk owns in Los Angeles. He and his now-ex-wife, Talulah Riley, reportedly purchased this property for $3.69 million in 2014.